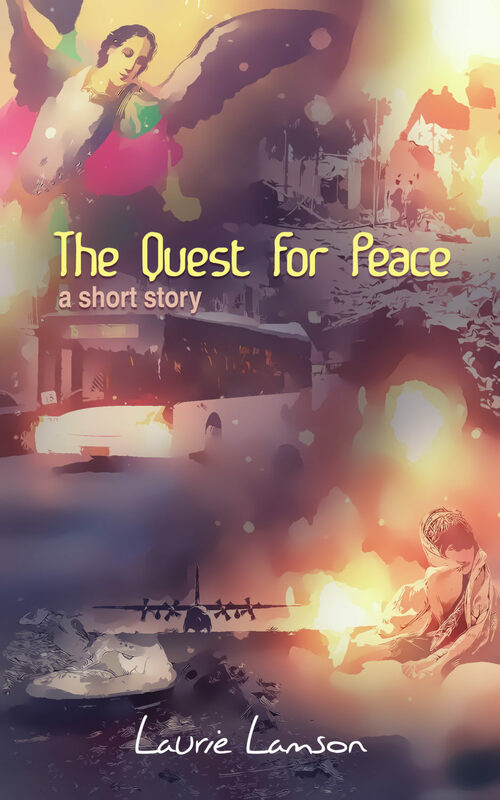 “The Quest for Peace” is a short story about a young man’s quest for peace in the Middle East – available now as a Kindle book. I used to host a get-together to celebrate International Peace Day. Every year I’d show the documentary Peace One Day by Jeremy Gilley, about his struggle to get the United Nations and countries around the world to establish an annual Peace Day on September 21. In preparing for the Kindle publication I left “heavenly virgins” out of the title for fear of being judged as politically incorrect or insensitive. This made me look at myself and consider the rights and responsibilities of a writer more carefully. There’s the oft-repeated trope, which could be taken as a warning, “Write what you know.” Certainly if we write only from the experience of our own race, religion, gender, culture, or neighborhood, we at least have the pretext of authority in those worlds we find familiar. I personally have never taken “write what you know” literally. I see it as being more about emotional territory. After all, if writers’ only wrote about what they personally experienced or had first-hand knowledge of, the entire genres of fantasy and science fiction wouldn’t exist. In this story I’m an outside observer daring to pretend to be on the inside. I’m looking at events from real life about which I have no first-hand knowledge. However, I’m an Earth citizen and I feel impacted by these events, and have as much right to respond as anyone else. More information on International Peace Day and the Peace One Day documentary, visit PeaceOneDay.org. “The Quest For Peace and Heavenly Virgins” was a runner-up in an unusual on-line story contest conducted by a psychologist, Dr. Rob Dobrenski. Check out the winning story and all the runners up. “The Quest For Peace and Heavenly Virgins” is the first story listed under runners-up.